Custom LEGO Minecraft Nether realm! Hard to believe I started showing the first bits of work on this little block of LEGO real estate a full two months ago on Instagram. My railway drawbridge and the entire LEGO set release season slowed things down, but I got back on track, stacked up the Bricklink hauls and got the first version of my LEGO Minecraft Nether world display, for now. It's 96 studs wide, 96 studs deep, and the walls are 39 bricks high. I'd estimate around 4,000 parts were used. 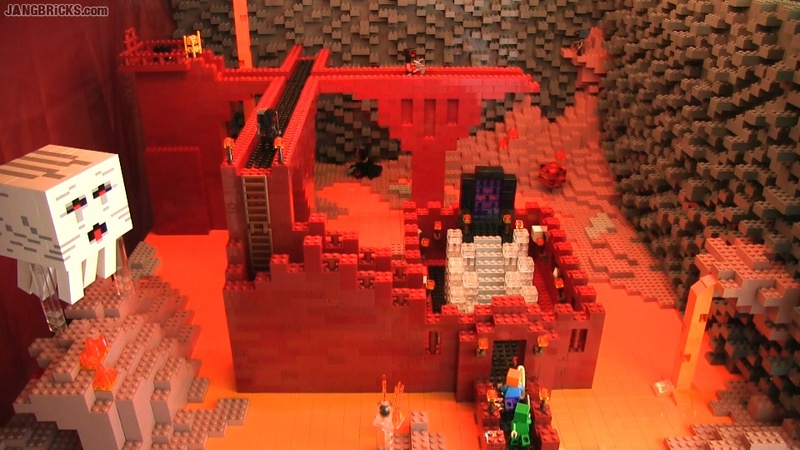 Video: Custom LEGO Minecraft Nether realm!